Microsoft is trying to make the new $3,500 device more useful right out of the box with prepared applications. It also doubled the field of view of the HoloLens 2. Microsoft introduced an improved version of its HoloLens augmented-reality goggles and lowered the price, as it tries to develop a bigger business selling the devices to corporate customers. At $3,500, the HoloLens 2, with a wider field of view and easier controls than the original, is still an expensive piece of gear, but it’s less than the $5,000 cost to commercial users for the first version. The company is also selling the device, which lets users view, move, speak to and interact with 3-D holograms, via a monthly subscription along with a related software app. Microsoft is pitching the goggles as a tool for workers rather than consumers, envisioning it for tasks such as visually guiding factory workers as they learn new jobs or helping architects design buildings. Microsoft unveiled the new device at MWC Barcelona on Sunday, also the kickoff for customer preorders. 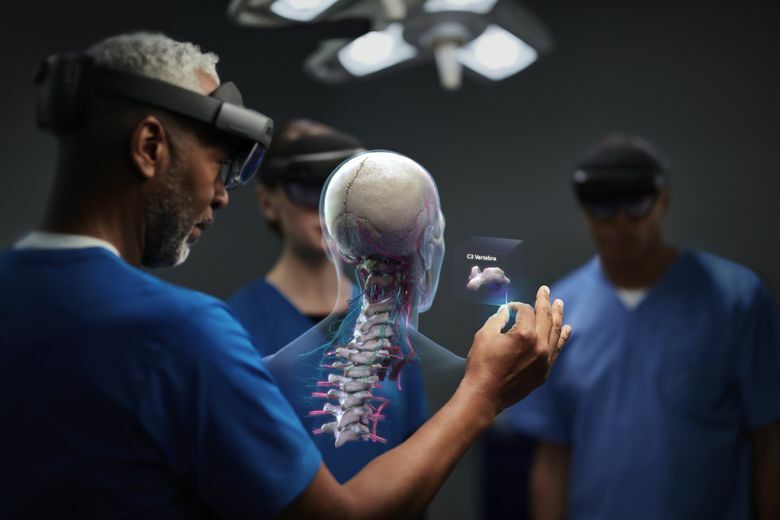 Unlike virtual-reality goggles, which block out a user’s surroundings, the augmented-reality HoloLens overlays holograms on a user’s existing environment, letting them see things like digital instructions on complex equipment. Facebook, Magic Leap and Google have products for virtual or augmented reality, but it remains to be seen whether anyone can turn the market, which Microsoft refers to as mixed reality, into a big moneymaker. Microsoft is focusing on corporate customers with HoloLens, and is trying to make the devices more useful right out of the box with prepared applications, rather than require months to write customized programs, said spokesman Greg Sullivan. The company has also added Azure cloud software that can be used to better run augmented-reality features in devices like iPhones and Android phones. That could let Microsoft garner revenue from other companies’ devices and from the consumer market. For example, the company plans to promote the cloud services to video game creators at the Game Developers Conference in March in San Francisco. HoloLens 2 more than doubles the field of view from the previous version, which many reviews said felt too narrow, causing holograms to disappear partly or completely when users moved their heads. There are now more ways to control the holograms via gesture instead of one, somewhat unnatural, exaggerated finger tap that controlled the previous version. The new model tracks a user’s gaze and lets them trigger actions by looking at a hologram. Users can also grab, rotate and resize the holograms with their hands as the device is powered by a new processor that includes an artificial intelligence chip Microsoft developed. That chip also gives the goggles a better idea of what’s going on in a user’s surroundings, differentiating a sofa from a floor, for example, and glass walls from brick, key information that developers writing apps can employ for better controls and more immersive experiences, Sullivan said. 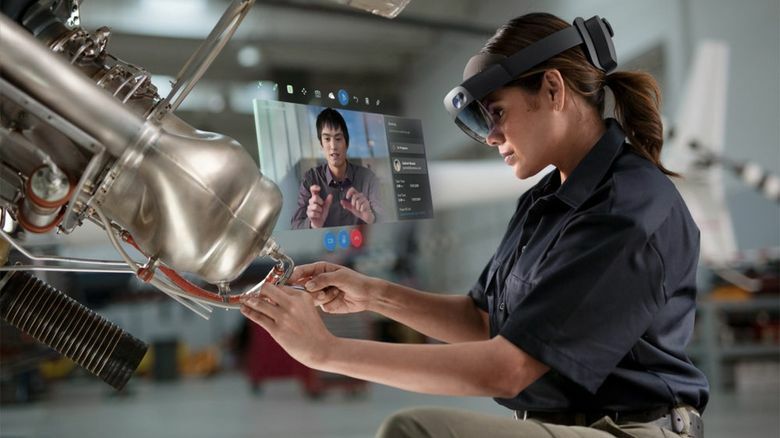 The company also rebalanced the weight of the headset because some users complained the previous version was heavier at the back of the device, a problem given that Microsoft is selling it for factory workers or surgeons who’d wear it for hours at a time.